For moist, succulent poultry, chefs and home cooks alike rely on the old-fashioned technique of brining. 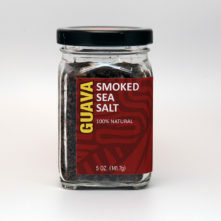 Hawaiian Volcano Sea Salts are a perfect complement to make it taste like it was smoked all day on the grill — even if you prepare it in the oven. 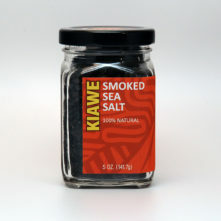 *This brine is a wonderful way to prepare moist flavorful pork too. To properly brine you need to start the day before or morning of that you plan to cook. You will need at least 5 up to 20 hours (see above for time per pound), a Ziploc bag large enough to hold your chicken and enough room in the fridge to store it. 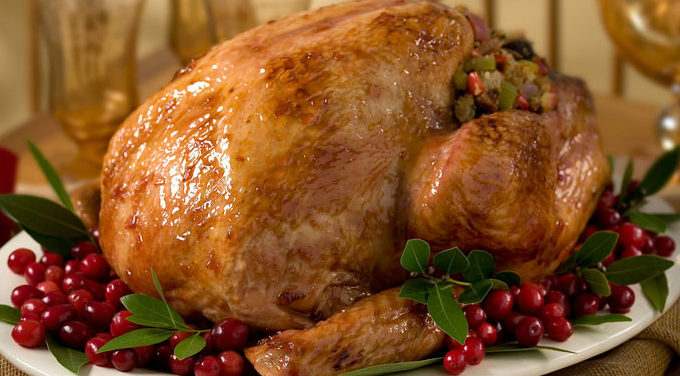 Whatever container you choose, the turkey must have enough room to be covered, so it should be big. Avoid using aluminum foil with a brine. Apply an even coating pressing or massaging the dry rub into the meat to ensure it penetrates and will not fall off. Make sure to apply a coating of dry rub over the entire chicken including the inside and under the skin as much as possible. Allow to marinate for 1 to 2 hours per pound of meat. At end of time wash brine off meat to avoid getting too salty. Preheat to 500°, roast chicken for 30 min. until skin is light golden brown @ taut. Reduce temp to 350°. Remove chicken from oven @ brush w/ butter. Let rest for 15-20 min. Return chicken to oven; roast, basting w/ butter every 10 min., until thermometer inserted into the thickest part of the thigh registers 165°, 40-45 minutes. Let rest for 15 – 20 minutes. Carve and serve w/ pan juices.